After examining Irina's library, Father Arno is even more determined to follow The Path of the Dragon to destroy the Evil at its source. Father Arno returns to Vladoviste to continue his investigation and discovers that someone else is following The Path too. 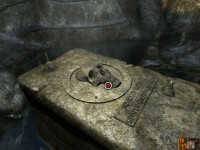 Confront Dracula and solve all the mysteries in Dracula: Path of the Dragon: Part 3! 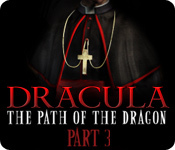 Tell someone about Dracula: The Path of the Dragon: Part 3 Game!